It is always important to communicate. Every day, we communicate to those around us by sharing things like what we have been doing, something we have learned, or to ask for their help. In coral reef conservation, communication is an essential part of management. 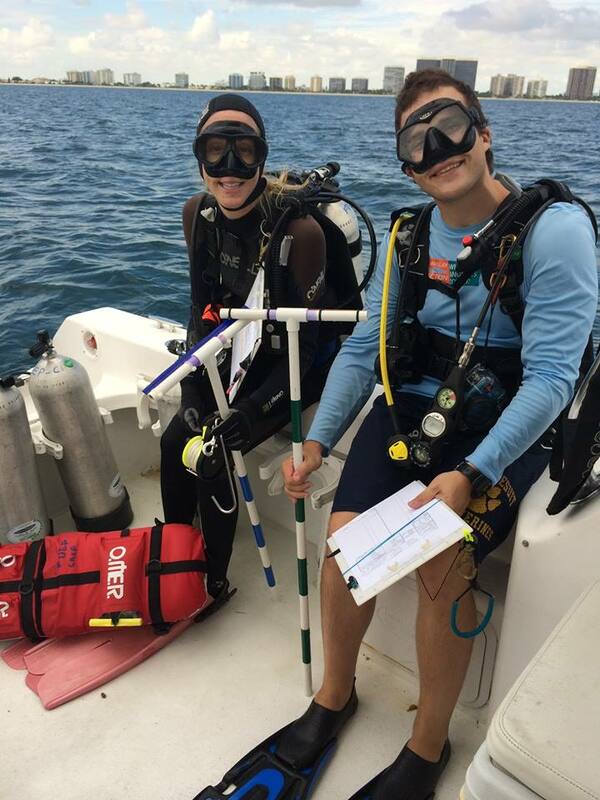 In Hawaii, we have found new ways to communicate the latest information about our response to coral bleaching, disease, and crown-of-thorns (COT) sea star events through a community-based observation network called, Eyes of the Reef (EOR). I have been working with our EOR Coordinators to improve our communication in several ways. In August, we launched a brand new website (www.eorhawaii.org) developed by one of our EOR Island Coordinators that features an online reporting system, downloadable final reports, training materials, a calendar, and a news blog. Since its creation, the site has had over 2,000 views from 24 different countries. Our latest news blog features stories on community events, new research, management updates, and training opportunities. I also gave our Facebook page (www.facebook.com/eyesofthereef) a makeover and am using it to promote the latest news stories, share photos, and send network members instant updates. About 1,000 people view our content every week and we are now up to 367 “Likes”. We are continuing to develop more innovative types of communication including talking points for our outreach specialists, stories for local media, and monthly “Current Conditions” reports that will incorporate climate information. Our hope is that improved communication will result in a stronger collective response to these threats facing our coral reefs. So stay tuned and feel assured that if there are any new developments, you will be sure to hear about it. 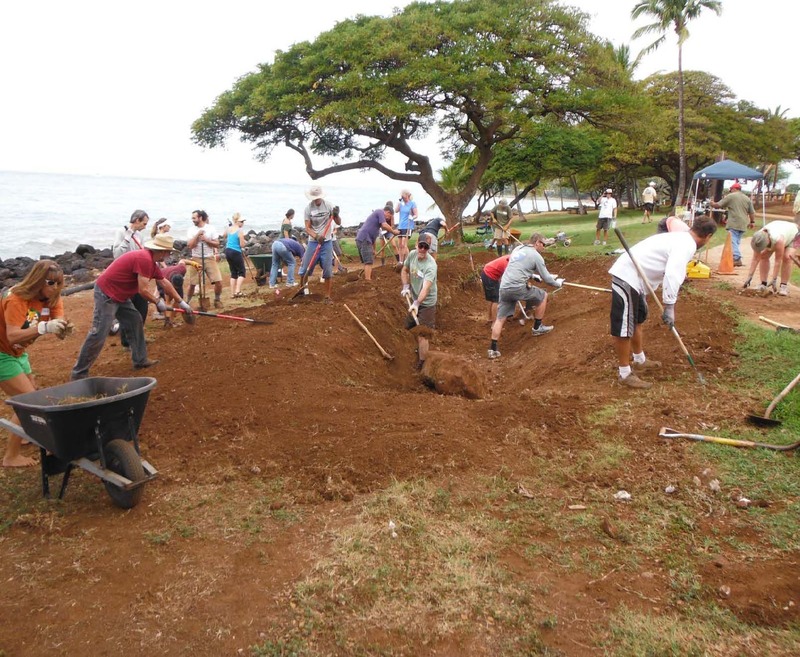 The West Maui Ridge to Reef Initiative is scheming to start a Rain Garden Revolution. This nature-inspired technique is increasingly being employed by local governments and communities as a low impact means to reduce polluted run-off entering waterways. But what exactly is it? A rain garden is an intentionally created flat bottom depression planted with natives positioned to receive, treat and infiltrate runoff from impervious surfaces such as a parking lot, roof or driveway. 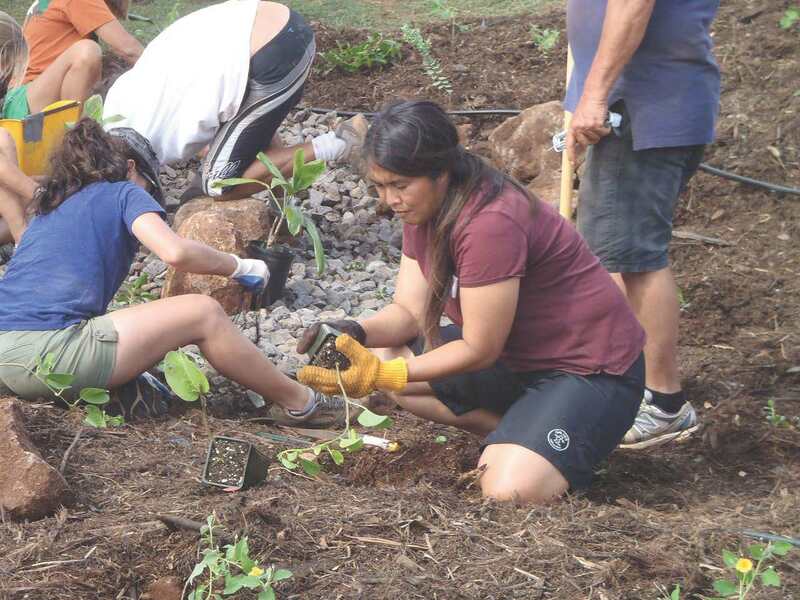 In March, over 70 community members participated in the NOAA Coral Reef Conservation Program-funded installation and associated training for a demonstration rain garden in Wahikuli Wayside Park, West Maui. Much fun was had as participants worked shoulder to shoulder to dig out the garden, haul compost, rock and mulch, measure, grade, and plant native plants. This Fall, we’ll launch the Rain Garden Hui, where six selected home and business owners will help others to build rain gardens in exchange for technical support and garden supplies. Also in the works is another West Maui county park installation that will be volunteer-built and maintained. Interested in building your own rain garden? Check out Hui o Ko`olaupoko’s easy to follow Hawaii Rain Garden Manual and other great information at our West Maui Kumuwai rain garden page.